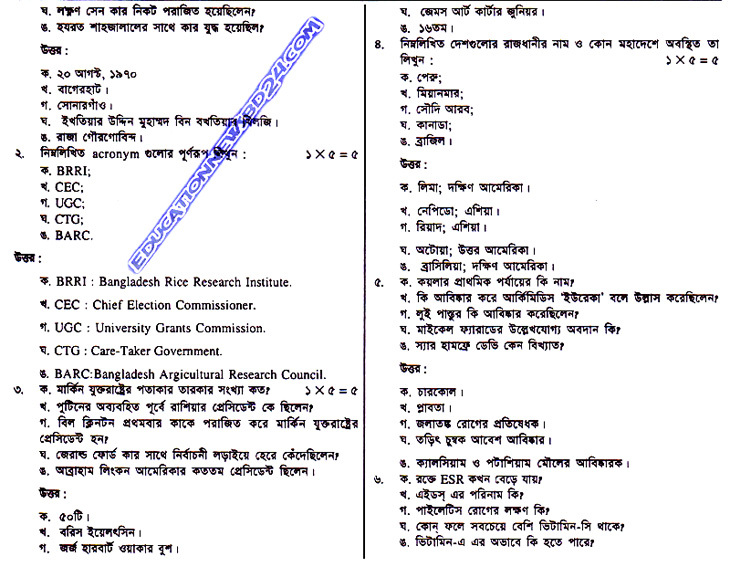 NTRCA Preliminary MCQ Model Test Seven found here. 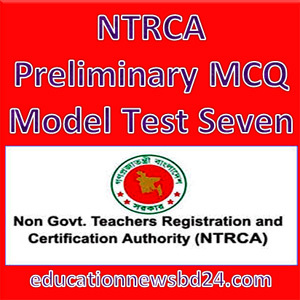 Download NTRCA Preliminary MCQ Model Test Seven from here. NTRCA stands as Non-Government Teachers’ Registration and Certification Authority (NTRCA). NTRCA was established in March 2005 as per provisions of Non-government Teachers’ Registration and Certification Act 2005 passed by the Parliament in February of the same year in order to ensure quality teaching in classrooms of all non-government educational institutions in the country. 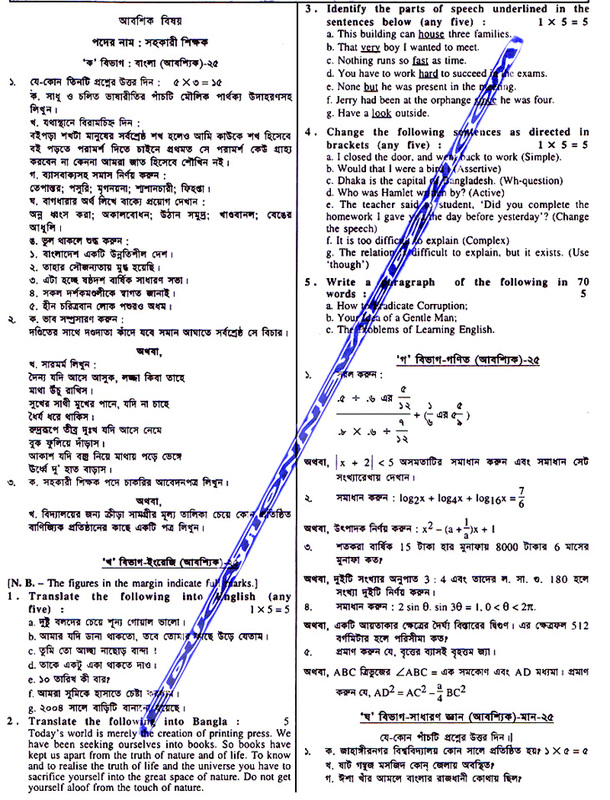 Teacher’s Registration Exam Total marks 200 both School and College level. Compulsory Subject for Preliminary Test (MCQ) 100 marks while Optional Subject for Written Test 100 Marks. The 100 marks Multiple Choice Questions (MCQ) will be answered within one hour for Compulsory Subject. 0.50 Marks will be deducted for each fault or incorrect answer. The Optional Subject exam will be written. The Optional Subject exam will be 100 marks written test selective questions will be answered within three hours.